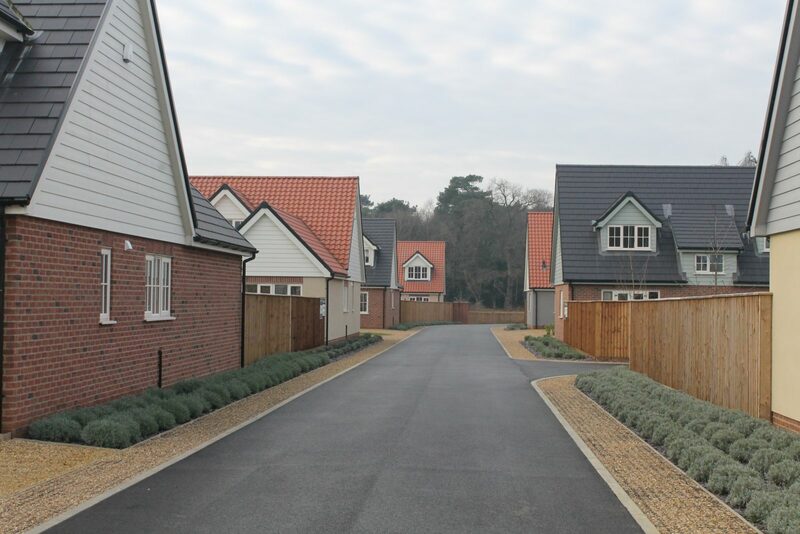 Common Road Snettisham is an idyllic collection of 11 rural dwellings providing a new seamless addition into the surrounding landscape. Meticulous detail was adhered to throughout both the planning and building stages in order to ensure that the highest possible build quality was achieved. An integral part of the development’s success was, without doubt, collaboration. 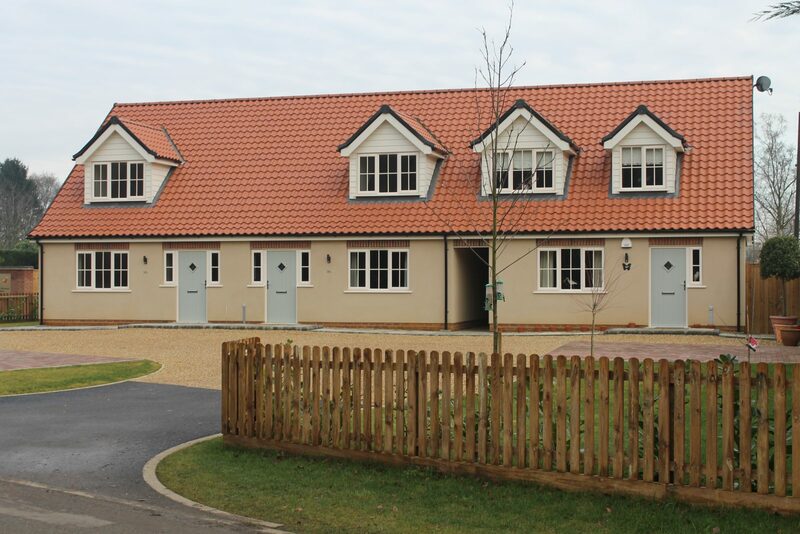 This was not just the standard relationships such as between developer and Building Control but also with the previous inhabitants and landowners (a local hospice), Anglian Water, the local parish council, local school and residents. The empathetic approach of the developers meant that consideration to minimising any disruption to others was paramount throughout. A philanthropic start was made by paying Tapping House Hospice upfront but delaying the programme start for several months until they were able to move into their new build elsewhere. There was also an excellent relationship with the Parish Council and local residents throughout the build programme, with just two examples being working together to improve drainage facilities and offering Parish Council and Local School one of the existing substantial site buildings free of charge. All properties have been connected to a mains sewer, despite being someway outside the Environmental Agency recommendation for distance and cost of connection. The pumping station fitted is to an extremely high standard and even features a chemical dosing system. A strong emphasis was put onto ensuring a full drawings package was submitted and checked prior to commencement on start. Aligned to this were the meticulous details provided to enable the production of design stage SAP calculations to be produced in an effective and timely manner. This was mirrored in the way as-built information was received, often enabling completion certificates to be issued the same day as completion inspections were carried out. An overwhelming preference was given to local suppliers and labour resource, to such a level that almost all of the on-site labour was retained throughout (something that happens less and less in this current climate). Careful consideration was given to all resources, even down to the procurement of local lavender and purple slate/flint throughout the site. In fact, even the name of the development – Golden Pheasant Drive – was chosen because of the link to the local Sandringham Area. Great consideration was given to all aspects of the build – the style of house was in keeping with coastal development requirements (ie style and roof type), the layout and style is aligned to the profile of buyer for the area and the houses (New England Style) and landscaping has been completed in keeping with the rural setting. The attention to detail has purposefully been kept at an extremely high standard throughout – using air-source heating systems and ground floor underfloor heating, as well as the latest specified materials inside and out brings a reassuring overall finish to the programme. Every aspect was thought about, even down to a specially designed combination of an earth bund and acoustic fencing in order to significantly reduce road noise. Some external materials even carry a 20 year warranty. From a building control perspective, it was evident from beginning to end that quality was high on the agenda for the developer. When this is married to a collaborative approach the results tend to speak for themselves, and are abundantly evident in this development. 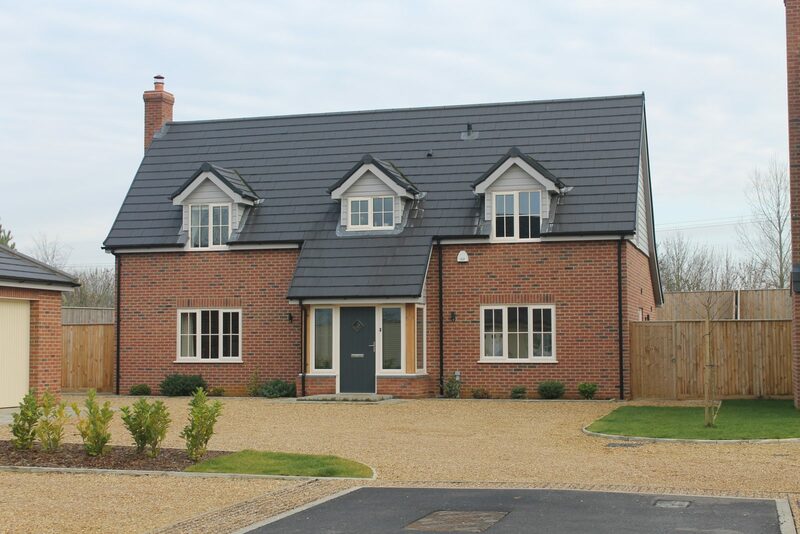 The builder and developers were in constant contact with building control, and an integral part of the programme was their insistence that building control were happy at each stage of the build.